Tasting Note: The luscious sweetness of our full-bodied spirit is intensified in Pedro Ximenez sherry wood finish. Known as the ‘King of sherries’, PX is a sweet, dessert sherry, made by the sun-dried PX grape, known for its unctuous raisiny character. 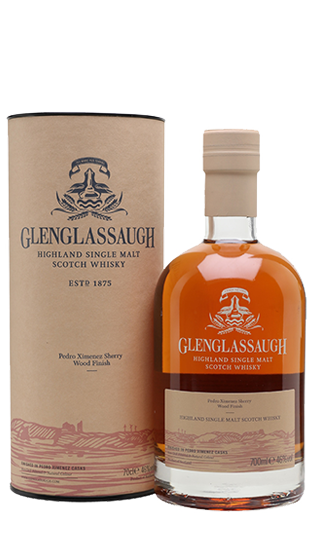 During finishing, the PX cask imbues Glenglassaugh with sun-dried warmth, reminiscent of a richly baked fruit dessert, spiced by the sea.